Snap(shot) Judgements are posts that will appear with no real regularity. It’s primarily a way for us to get thoughts and photos up as soon as possible, especially when we have no plan to write a feature-length column on the subject. Here, Gary explores the variety of goods for sale at Seattle’s Pike Place Market. 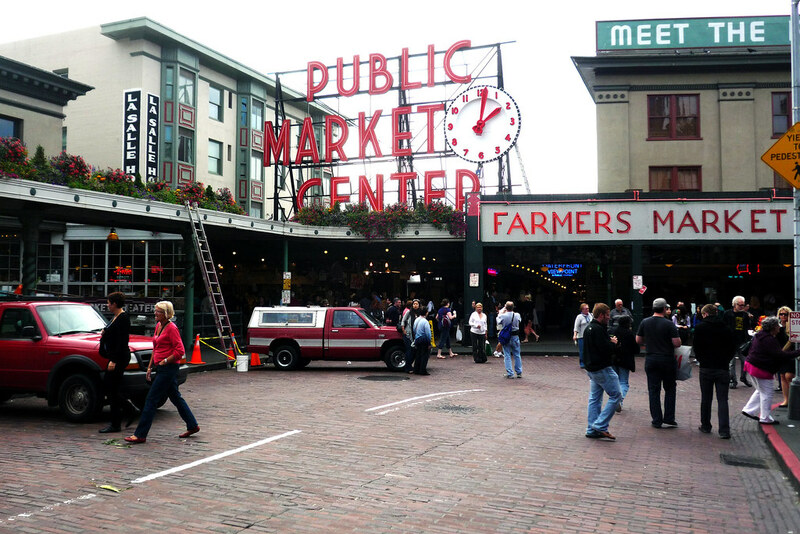 Shortly after touching down in Seattle and dropping all my stuff off at the hotel, I made a beeline for the Pike Place Market since it was already late in the afternoon and I wanted to see everything it had to offer. One of the places, Hill Valley Chicken, you’ve already seen in my previous post about Seattle’s food stands but this post is devoted to the grocers and fish mongers scattered throughout the vast marketplace here. Seafood, produce, pasta, and chocolate – this post has a little bit of everything that’s edible around these parts. Enjoy!